Appearance is everything when it comes to managerial buildings, a company‘s true calling card in order to convey a strong, well-defined personality. 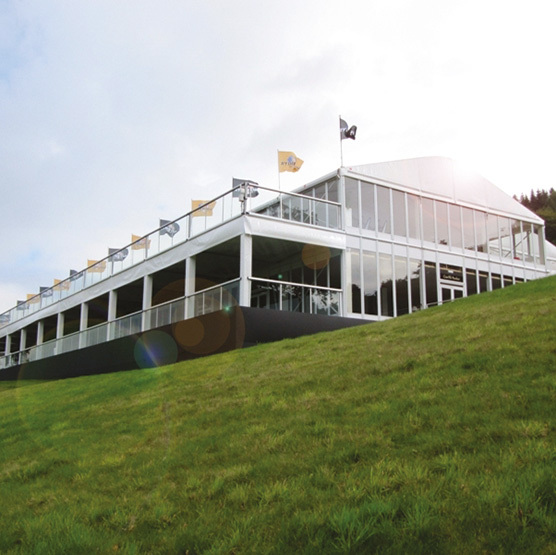 A unique, distinctive architectural form, combining top-of-the-range materials and structural design, is therefore essential in order to attract attention and stand out with class and elegance, putting the focus on staff wellbeing and ensuring optimum brightness and comfort, thanks to the design of cutting-edge components that contribute to thermal insulation and soundproofing in all areas. 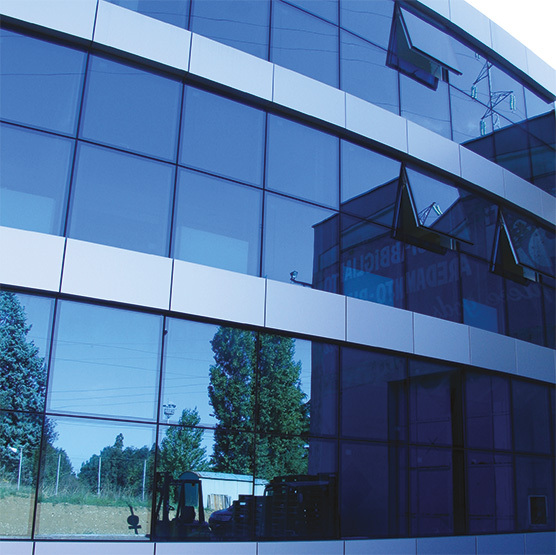 Schuco FW 85 continuous façade manufactured through the structural bonding of glass onto special aluminium frames in the visual areas and by fixing Alucobond tray panels in front of the floor slabs. Schuco FW 50+ continuous façade. Vertical silicone coating in place of the pressure plates and caps, using a special black low modulus sealant, to form a 20 mm joint between the two sheets of insulated glazing. Horizontal transom cap with inverted „U“ section. Interior silk grey powder coating, exterior colour chemical silver anodic oxidation. System of retractable openings protruding outwards, manufactured through the structural bonding of glass onto the door/window frame, complete with motor. Functionality and safety are essential when designing new industrial structures and structural adaptations for existing buildings. The extremely high quality of our materials and the use of technological systems give the structure the necessary comfort to provide staff with a safe and efficient working environment, with significant energy savings. Each solution is also designed to ensure maximum convenience and ease of installation. Ponzio Wind Stop 65TT ribbon windows with profile, RAL 7016-coated with transom opening system. Wall cladding with MEG 8 mm plastic laminate panels, mounted on an aluminium substructure with visible fixing. Schuco FW 50+ continuous façade. Horizontal silicone coating in place of the pressure plates and caps, using a special black low modulus sealant, to form a 20 mm joint between the two sheets of insulated glazing. Vertical mullion cap. Interior and exterior RAL 9010 white powder coating. Schuco FW 50+ continuous façade. The mirrors in the central area have been fitted in „split“ fashion in a semi-circle, with the exterior cap visible for the mullions and transoms. 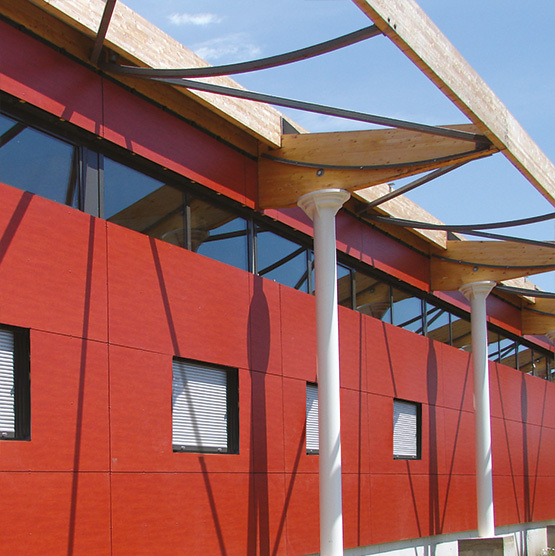 More than ever, the requirements of commercial structures have to focus on durability and resistance to wear, essential in order to offer high standards of liveability and aesthetics. It is therefore essential for the design of the fixtures to be based on high-quality materials and structural solutions combining aesthetic and practical roles, able ensure their characteristics remain unchanged over time. 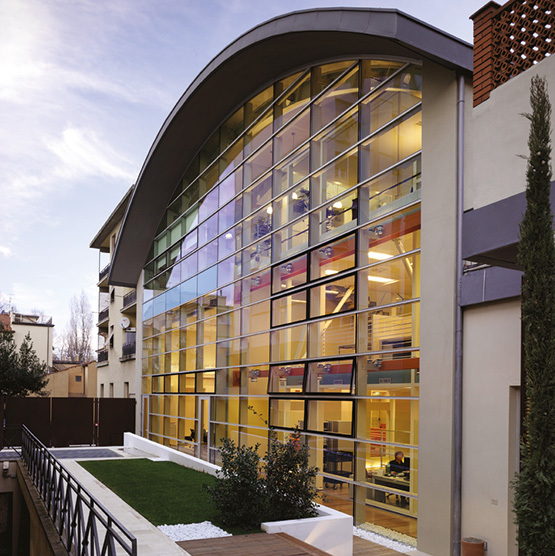 Schuco FW 85 continuous façade, manufactured through the structural bonding of glass onto special aluminium frames in the visual areas. 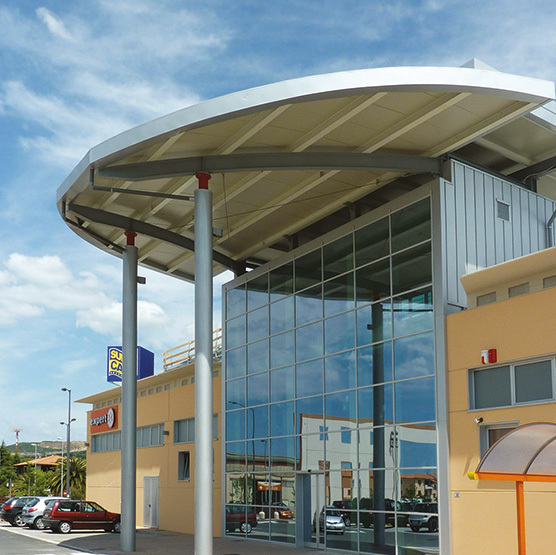 Ponzio WS 50 PG continuous façade. Caps with a rectangular cross-section for the mullions and transoms. 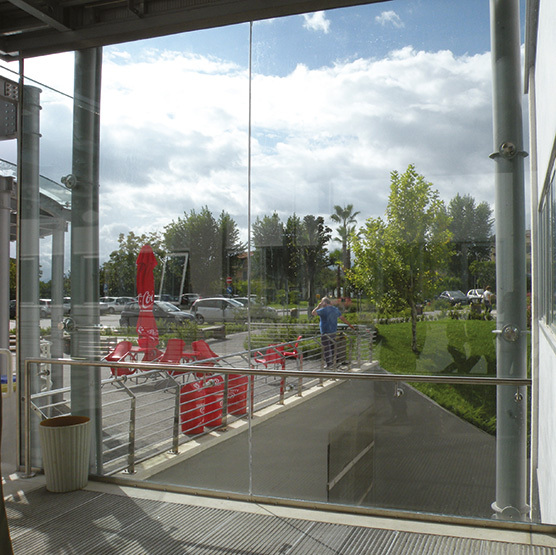 System of retractable openings protruding outwards, produced using the structural bonding of glass on the door/window frame. All.Co EXPORT 50TT display cases. Incorporation of doors for emergency exits. 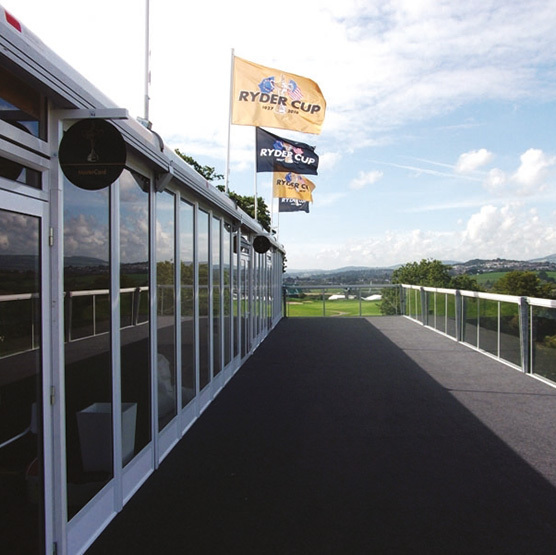 Aluminium balconies with handrail and incorporation of tempered laminated glass. Design, technology and top-of-the-range materials for housing solutions that meet the aesthetic and functional needs of your home. 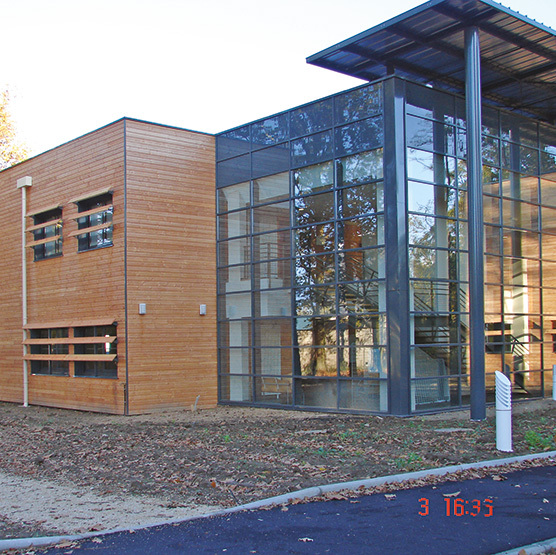 Windows, French windows and façades able to bring brightness to the environment are critical in creating an atmosphere of wellbeing and contribute to thermal insulation and soundproofing with consequent energy savings. 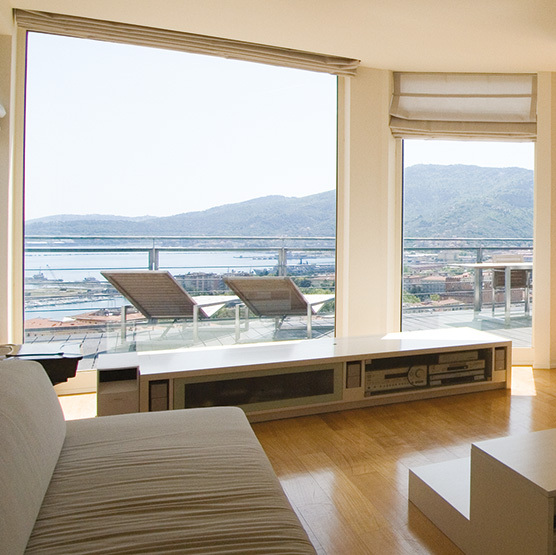 Aesthetic balance and technology come together in customised solutions designed specifically for each property. 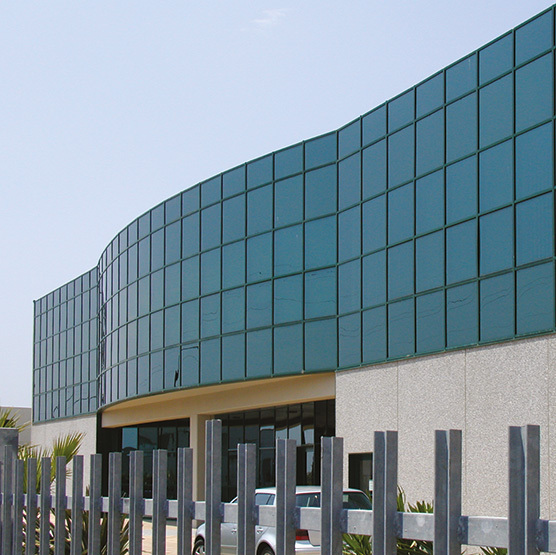 Manufacture of Ponzio Wind Stop 65 TT aluminium windows and French windows with anti-tilt system featuring „retractable“ hinges and Ponzio SL1600 TT lift-and-slide systems. RAL 9010 powder coating. 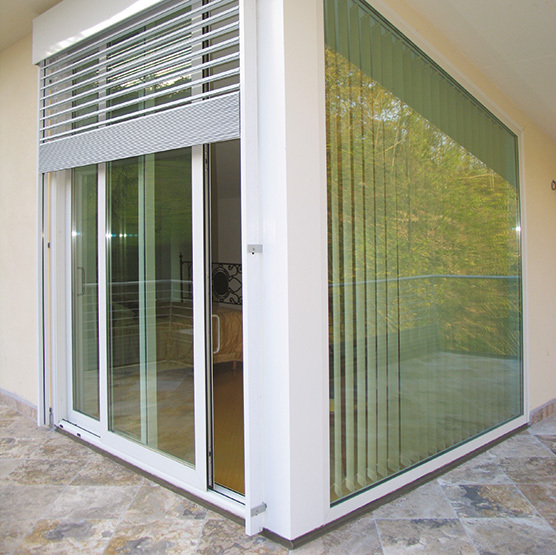 Exterior sun shades with profiled aluminium slats, equipped with lower anti-noise pad and stainless steel casing.